Today millions of Americans engage in a constant race against the clock. 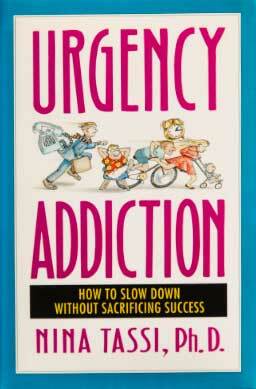 Urgency Addiction tells the story of how we got seduced into flying so fast that we could lose our very selves. It’s not about a personality quirk but a cultural force. My study of America’s obsession with speed took me back to our colonial roots in 17th-century Boston. In the process, I found a path not to better time management, but to the secret of how to enjoy our most precious possession: the time of our lives. You have deprived yourself of necessary time, which is self-destructive.